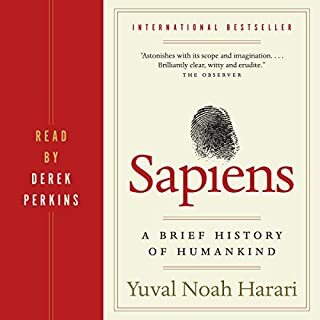 A splendid romp through the human history. The voice actor was a wonderful choice to deliver the sometimes dry, yet unexpectedly amusing book. Human history delivered through an introspective lens. At points you think the naration has meandered off point but then the story weaves back around with a pleasant way of leaving you better informed than before.